The enormously popular AC1 Rhythm VOX series of miniature amps has been recharged! It has returned as the AC2 RhythmVOX for guitar and the AC2 RhythmVOX Bass for bass. The output has doubled from 1W to 2W, further enhancing the amp's sound quality. The high-quality effects and wide selection of rhythm patterns are easy to use and will have you hooked on playing through your AC2. Battery operation is supported, so you can use the amp anywhere. 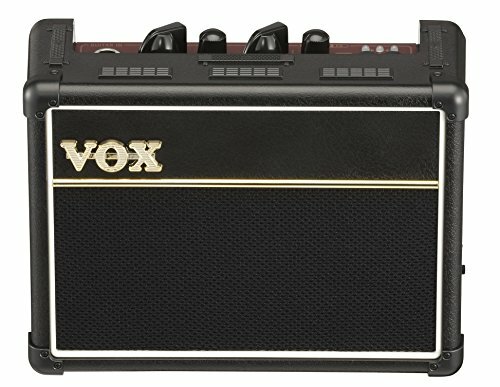 Careful attention has been paid to every detail of these amps , which look so much like a real VOX amp that you'll forget it's a miniature. Whether it’s your first amp, a practice or warmup amp for backstage, or as a rhythm box, the AC2 is a cute yet ferocious unit that’s at home in any situation. If you have any questions about this product by Vox, contact us by completing and submitting the form below. If you are looking for a specif part number, please include it with your message.